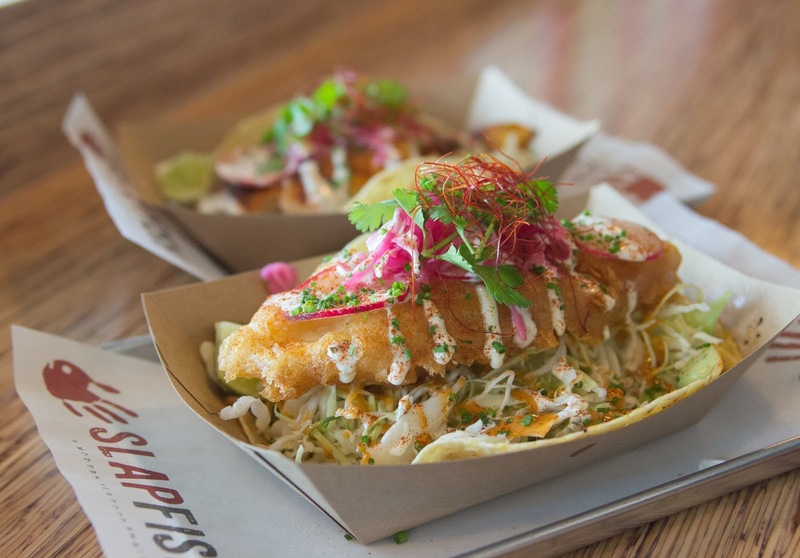 Feb 2 | Tacos and Chowders Are Only $1 All Day Long @ Slapfish - Newport Beach - EAT WITH HOP! You're gonna have to make time for this one. Slapfish is celebrating it's 2 year anniversary at it's Newport Beach location on February 2nd, 2017 by offering $1 deals on all tacos and chowder. Their tacos are legit good. Get the fish taco!! I have been to Slapfish a few times and my favorite things to get are the fish tacos and lobster taquitos. I usually go only during happy hour or Taco Tuesdays because the fish tacos are around $4 or so and it's so worth it and huuge. They slap a huge fish on your tortilla! So, you don't wanna miss this deal at Slapfish on Thursday, February 2! All day long the tacos and chowders are only $1! But for future references, their "Slappy Hour" is everyday from 3 pm - 5pm and 8 pm - 9 pm.